Here’s what I mean: Commerce oozes from every crevice, but industries have clustered to a degree I’ve not seen anywhere else, with jewellers, instrument-makers, mobile phone repairers, shoe stores and bookstands all clumped in certain spots. Food is dished up on every sidewalk, but each operation is highly precise, with piles of certain vegetables and rows of shaped dough ready to be fried. Refuse—including the little clay pots that hold shots of coffee-ish milk—is simply thrown on the ground, where thousands of people sleep every night. But when the campground comes to life every morning, trash is swept into piles and taken away in wheelbarrows. People scrub themselves clean in water gushing from pipes into the street, and for a while, the world is clean. 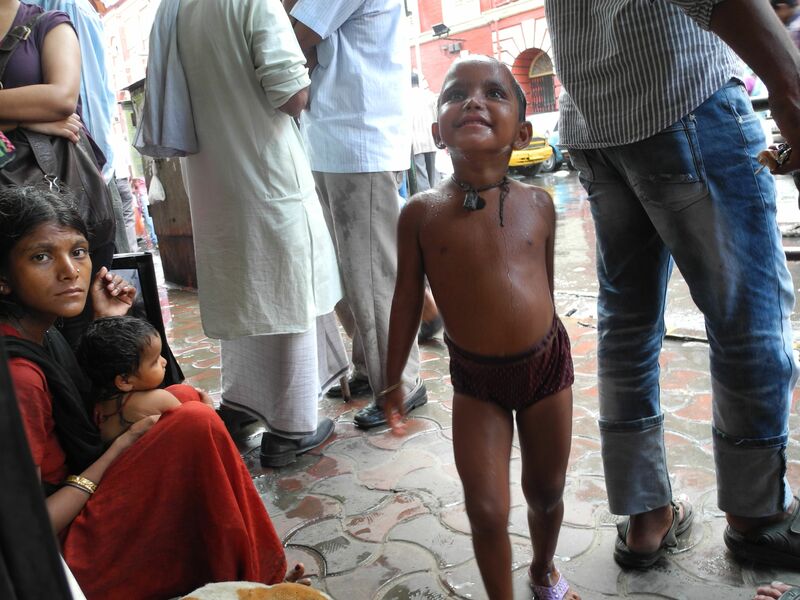 Sure, there are all the things that come with Mother-Theresa-in-the-slums-of-Calcutta; the carting around of malformed children with coin trays is truly grotesque. 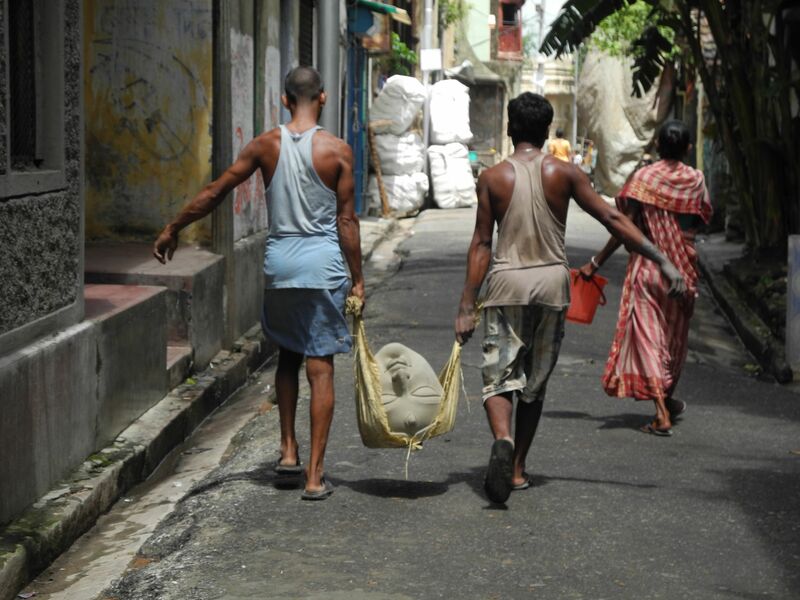 But here, the poverty seems less dejected than it does in the dust and squalor of Chennai, which also has more ostentatious displays of wealth. There’s just so much more to celebrate. Getting around underground: A couple cities I’ve visited, Cochin and Chennai, have been snarled in the construction of new subway systems, making already-terrible traffic even worse. Their residents sigh: Will this ever get done? And if does, will it actually improve things? 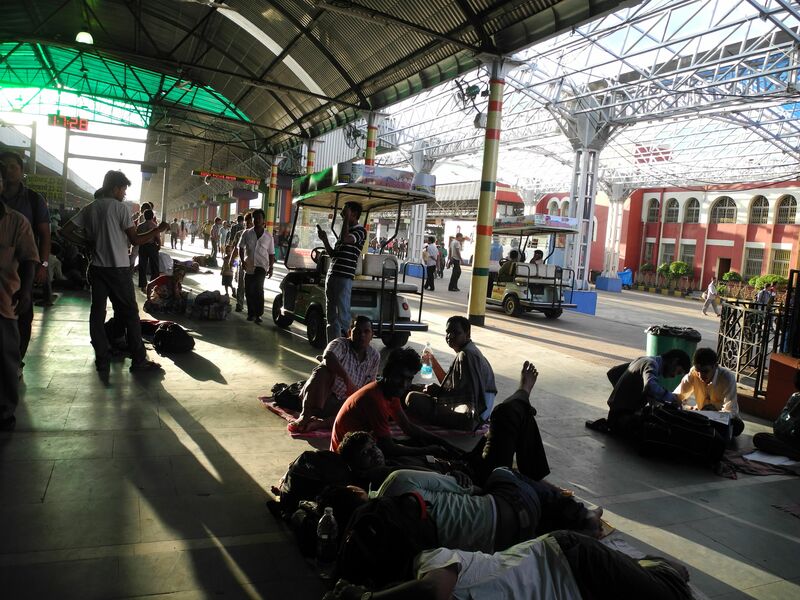 Kolkata should give them hope: The one north-south line is a dream to use, allowing hundreds of thousands of people to skip the rush hour gridlock above. It’s also blessedly clean, with potted plants thoughtfully placed around columns, and embellished with inlaid marble floors and tile art tailored to each station. Is there no greater sign of enlightened civillization? 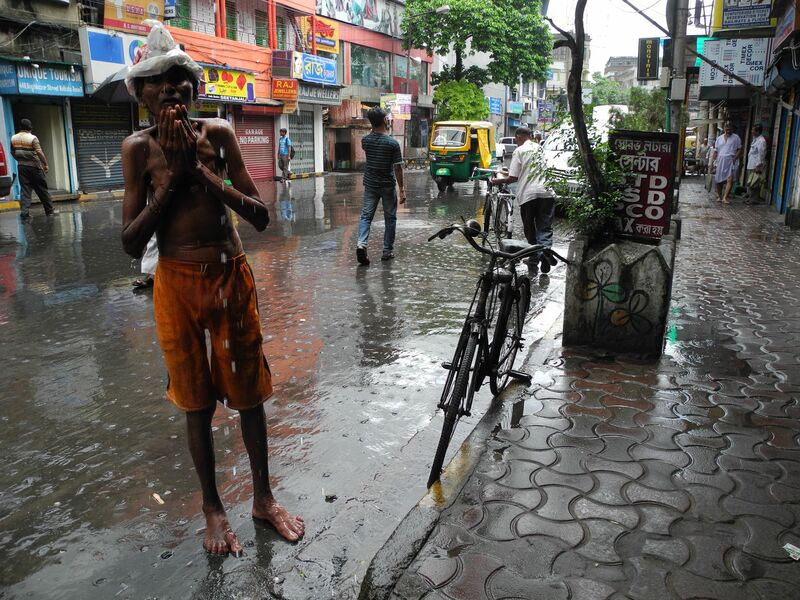 The sodden life: Tourists typically stay away from cities during the monsoon. Too bad for them: It’s actually kind of a lovely time to be there, with a serious drenching several times a day to clear out all the muck in the air. Kolkata, which is flat as a dosa, appears to have fantastic drainage; you don’t see the gigantic puddles that make walking tricky in New York after a rainstorm. The deluges give ample warning and finish quickly, requiring one to just pause for a few minutes under an awning with other stranded souls, until the drops diffuse into tropical steam. Say neigh: Among many legacies of its British heritage, Kolkata is an extremely horsey city. It’s blessed with the Maidan, a massive green area between the city and the river with all sorts of monuments, private clubs, and fields for public use (think Central Park, without Frederick Law Olmstead, garbage cans, and norms against public urination). That’s where the mounted police train, and ponies—whether owned or wild, I’m not sure—graze on lush pastures. Right next door is full-scale race course, where colts and fillies glide around a dirt track during morning workouts. Those are the lucky ones. The Maidan also has a working population of rawboned nags who tow glitzy carriages, waiting all day in a line dozens long for the chance to trot briskly around on hard concrete. 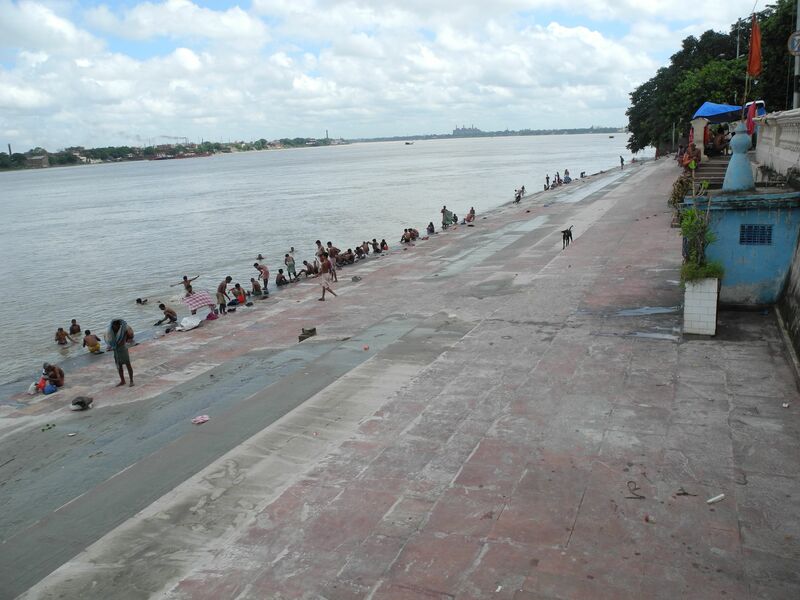 The Ghatwalk: Both banks of the Hooghly River are dotted with ghats, which are temples that double as public baths. In October, during a massive festival called Durga Puja, thousands of sculptures are lowered into the water. Say what you want about throwing plaster of paris and toxic paints into a waterway, but the massive ritual makes for a nice little cottage industry in north Kolkata, where artisans are gainfully employed preparing the straw molds and covering them with clay. 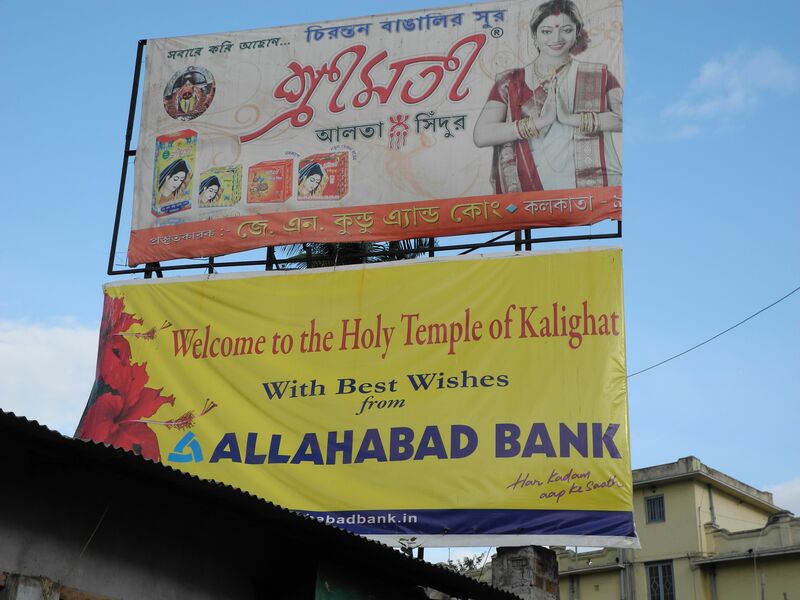 I also visited Kalighat—the city’s namesake—which, like many well-trafficked religious sites in India, is thoroughly commercialized with idol shops and snack bars both inside and outside the temple. And I can’t help but feel that someone’s making money off this one. Upon entering, some sort of official snapped me up on a whirlwind tour, with cheerful patter that felt somewhat at odds with a site dedicated to the goddess of destruction. At the end, he requested a donation for the poor whom they feed every day—in the ledger where they enter your name and gift, I saw foreigners handing over thousands of rupees each. That’s a lot of rice, is all I’m saying. 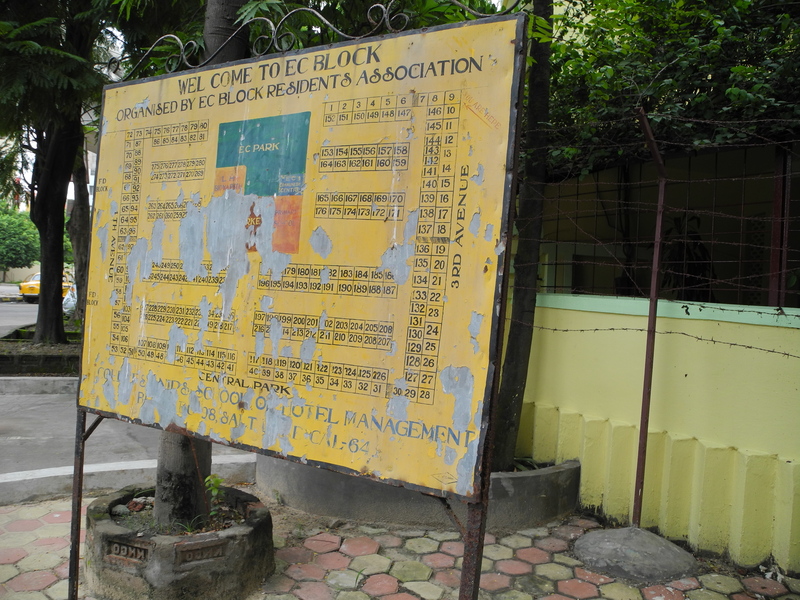 The unseen city: If it appears that nothing new’s been built in Kolkata for about 70 years, it’s because it’s all being built in the suburbs. I visited Salt Lake City, a hexagonal township just east of the city that was laid out in the 1950s as a base for burgeoning tech companies. It’s a bizarre contrast, with quiet, straight avenues and walled-off apartment building complexes in lieu of Kolkata’s intestine-like layout and furious street commerce. The large mall there, CityCentre, already feels dated: The new new thing is even further out, in a futuristic exurb called New Town, whose denizens need never experience the chaos of the mother city at all. The shape of Salt Lake. Kids always have more joy than parents. Love at the Victoria Memorial. 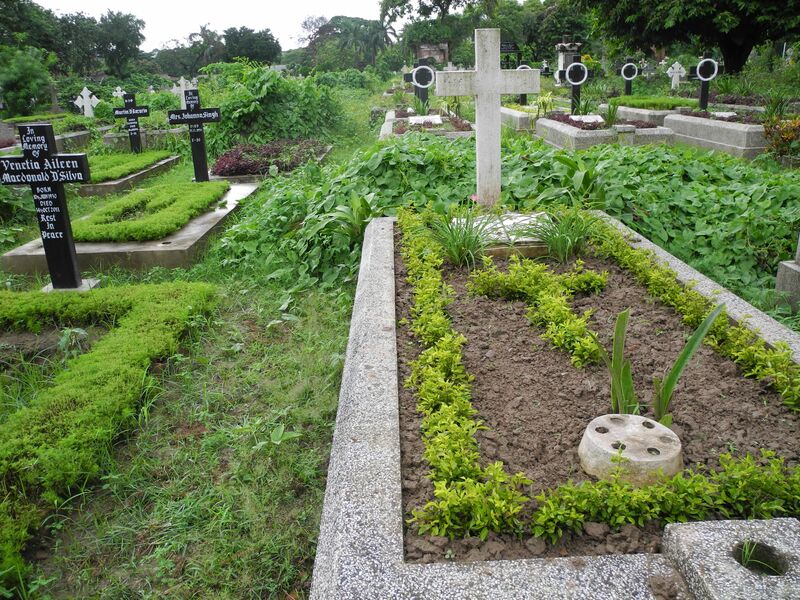 I loved this cemetery, which felt more like a p-patch than a graveyard. 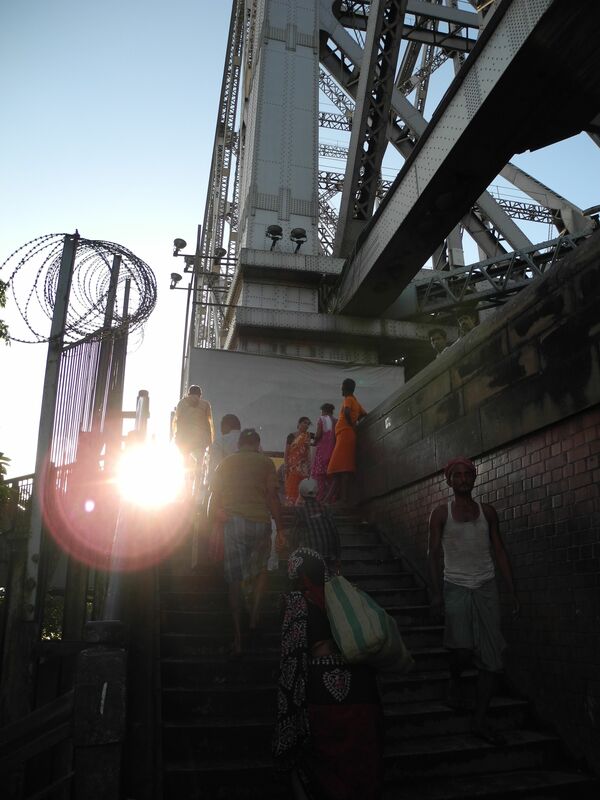 Climbing up the Howrah Bridge.